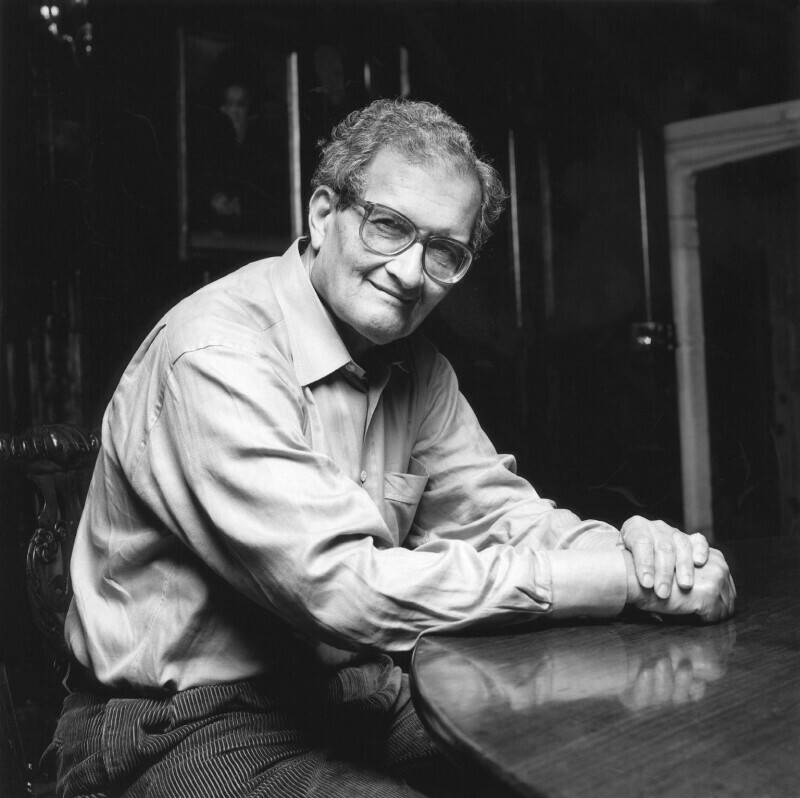 Amartya Kumar Sen (1933-), Welfare economist; Master of Trinity College, Cambridge. Sitter in 2 portraits. Norman McBeath (1952-), Photographer. Artist of 54 portraits, Sitter in 1 portrait. Following referendums in 1997, The Scottish Parliament is opened and Welsh Assembly established in 1999. The new Scottish Parliament has the powers to pass legislation and alter tax. The Welsh Assembly currently has less legislative authority but controls a budget for Wales and can amend legislation passed by Westminster. The House of Lords Act removes all but 92 Hereditary Lords from the second chamber. Tom Stoppard and Marc Norman's film, Shakespeare in Love wins the Oscar for Best Picture. The film, starring Joseph Fiennes, Gwyneth Paltrow, Judi Dench, Geoffrey Rush, and Colin Firth, among other British screen stars, provides a fictitious account of the events that inspired William Shakespeare to write Romeo and Juliet. NATO begins a bombing campaign against the government of Yugoslavia following the breakdown of the Rambouillet Accords that attempted to grant Kosovo autonomy within Serbia under NATO administration. After nearly three months of bombing, Slobodan Milosevic agreed to allow a peacekeeping force to enter Kosovo and the province was placed under a United Nations Interim Administration.